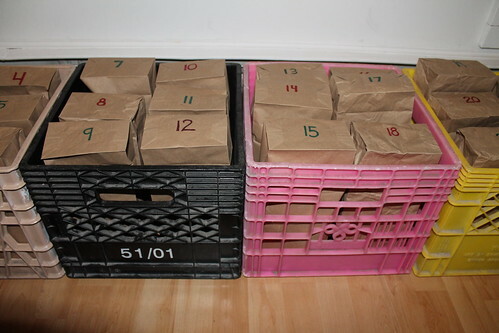 Chris and I are celebrating the holiday season with a beer advent calendar. 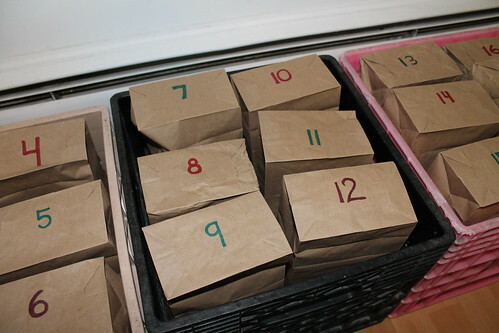 Inspired by Mikeasaurus' beer advent calendar, we picked out 25 different beers to enjoy between now and Christmas. Our milk crate and paper bag set up isn't terribly pretty but it does the job. Since the beer selection here is so different from back East, we'll be trying most of the beers for the first time. 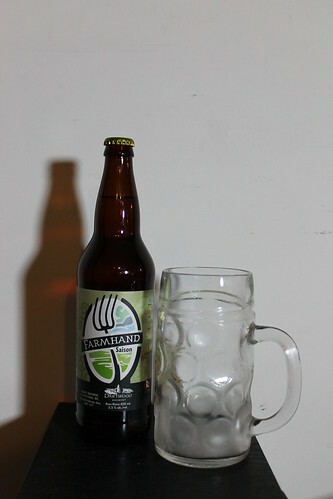 Day 1's advent beer: Farmhand Saison from Driftwood Brewery. Chris gave it a 8/10 but I think it's more like a 7.